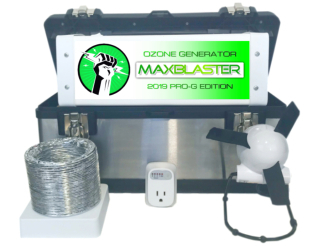 If you're looking for our strongest ozone generator to treat severe toxic odors and mold this is it. Ideal for professionals in the cleaning industry who feel comfortable operating high-performance equipment. Recommended for shock treatments (high-intensity) up to 2000sqft or for whole house deodorization (low-intensity) up to 6000sqft. Contains no cheap Chinese components, gimmicks, or unnecessary features. 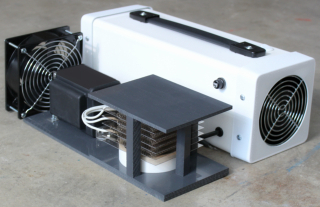 Produces maximum levels of ozone faster than ordinary ozone machines to stop odors at their source. Add individual accessories (see shop) to increase performance and efficiency. 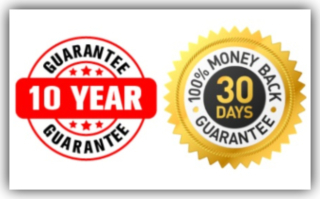 Long term lifespan with a ten year guarantee on the transformer. With extreme intensity ozone comes greater responsibility to handle properly. Please use caution and operate the PRO-G Edition according to protocol. 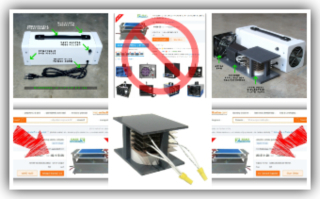 Includes easy instruction guide, friendly support, and lifetime trade-in upgrade credit. Thousands sold since 2008 with over 99% success rating. Made in Cleveland, Ohio and shipped direct. Contact Greg with questions and special requests. 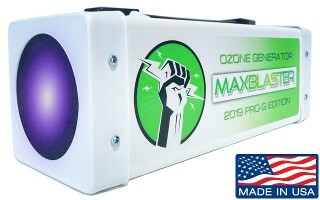 We greatly thank you for choosing the original USA Ozone Blaster! 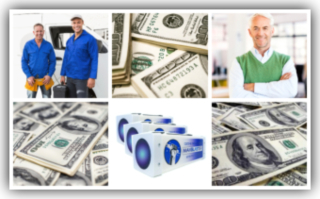 Over the last ten years our family company has built over seventeen thousand ozone generators right here in America. And we've personally sold them direct to home and business owners worldwide. 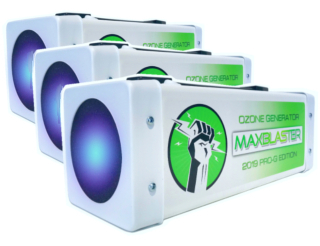 Unlike ordinary ozone machines our MaxBlasters contain no unnecessary features, gimmicks, or cheap Chinese components. 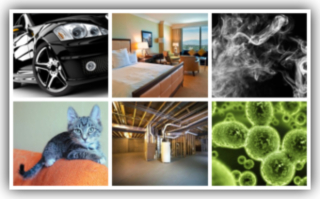 Learn the truth about ozone and how to use it the right way to kill any organic odor in any type of property. 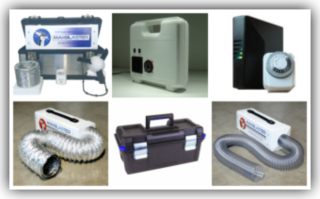 Get the highest quality, lifetime value ozone machines and the industries best customer service. 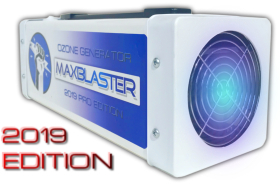 Call Greg or Bob today and discover the MaxBlaster difference!